Rarely available fully leased with high rent large brick 2-flat with two car parking in the back! Totally rehabbed from top to bottom including: extra deep basement with drainage system. New electric, plumbing and all mechanical systems. Brand new kitchen + baths W granite counters, dishwashers & garbage disposals. 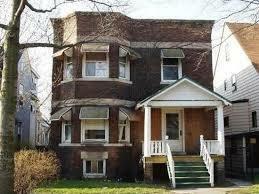 Property is within steps of Northwestern University Campus! Property is in close proximity to downtown Evanston with plenty of dining and shopping. The Metra and CTA stops are in walking distance too. Fully finished lower level with laundry and bathroom. Tenants pay all separately metered utilities. Don't miss out on this turnkey Investment property requiring no work! Listing provided courtesy of Wilmette Real Estate And Management Company Llc.